The group's mostly instrumental compositions were novel melodic sound collages based on digital sampler technology, which was new at the time. 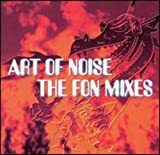 Inspired by turn-of-the-20th-century revolutions in music, the Art of Noise were initially packaged as a faceless anti- or non-group, blurring the distinction between the art and its creators. The band is noted for innovative use of electronics and computers in pop music and particularly for innovative use of sampling. From the earliest releases on ZTT, the band referred to itself as both Art of Noise and The Art of Noise. Official and unofficial releases and press material use both versions.